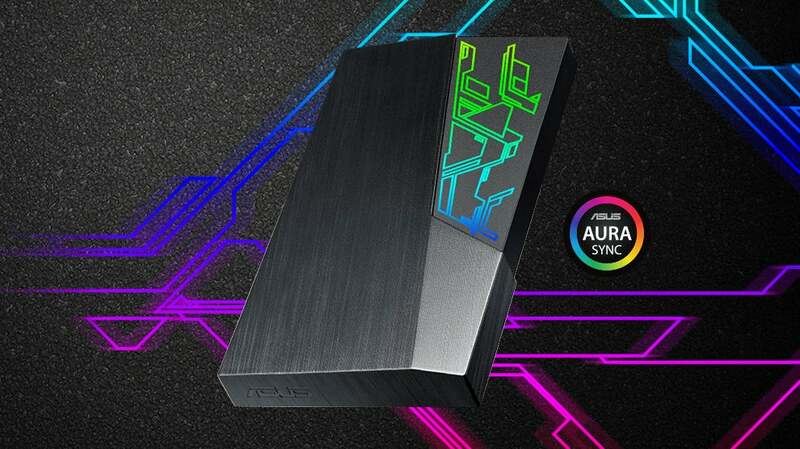 If you’re someone who can’t work, play, or kill time online without your desktop PC blinding you with a spectacle of flashing LEDs, ASUS will now let your external hard drive join the desktop rave. The company’s new FX HDD drive includes its own set of LEDs, illuminating a circuit trace pattern that will sync to the glowing patterns flashing across all of your other devices. There are certainly valid reasons for wanting your computer’s keyboard to glow with all the colours of the rainbow: it can help highlight certain keys in your peripheral vision, or make it easier to track your progress or performance in a game. The argument gets a little less convincing for a mouse, but a flashing external hard drive? Now you’re just trying to show off your gaming rig.